Programming is the most important part of building any website. Website designers and developers need to learn programing and coding when they are taking the course on programming for website building. Apart from the regular courses there are certain interactive websites also available on the internet that help you learn and gain more knowledge over and above your regular course. As a learner it is recommended to visit these websites if you want to learn more about programing. This article gives you some basic information about some of those interactive websites that help you sharpen your existing knowledge on programming. You may chose from many of the best programming languages you like and more. 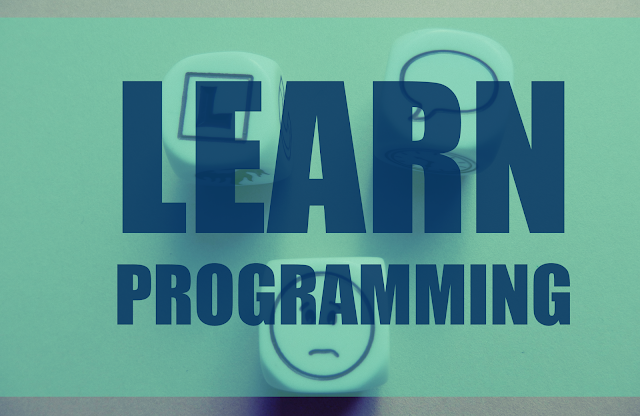 Are you interested in learning coding for programming? This website is the best one for you to choose. This website is featured as one of the top 50 sites in Time’s in 2013. The interactive learning sessions of this website can make anyone learning the coding as long as they feel positive. Learn web designing and development through this interactive website. The website has video tutorials for its students to help them learning about HTML and Ruby. You can watch these videos to learn and later you can take the exercises to test your knowledge and learning from the session. CodePad is online compiler and collaboration tool that can be used to learn and execute the programs in many languages including C, C++, PHP, Python, Ruby and more. It is a playground for online code testing with a plethora of tutorials as well as help videos for codes for the programming languages Java and Python. It is a free site for developing your coding skills. You can type the code online in the text editor and click on Run to compile your code online. It provides an online environment for exploring many programming languages and has an online code editor. Additonally, it has interpreter engines written in Java Script for over 15 programming languages. The interpreters run on the user’s computer. It is an online debugging and compiler tool that allows compiling as well as executing it online in more than 60 programming languages such as Java, C#, C, Pascal. You need to select a programming language and then type the code in the text editor,and subsequently run the code by clicking on the 'Run' button. It teaches various web technologies on the web browser through screen casts, coding challenges and video lessons for languages such as Java Script, Ruby, HTML/CSS and C.
It is a video tutorial website which provides free computer programming courses in programming languages like C++, C and Obj-C. Very soon, it would include the same for Java. The tutorials provide resources for fast learning of the languages. The upgraded website enables the learners to learn Ruby on Rails directly in the browsers with no additional settings. This interactive website ensures fun in the learning for the learners and there is no need to worry about configuration. The video tutorials with the exercises are great resources for learning. This website enables the learner to learn Ruby on Rails by creating an app directly on the browser. The website offers hassle free virtual server along with great tutorials that eases the learning of rails. The user need not to an experienced professional to use the tutorials. Do you want to learn Ruby? Learn it here. Whether you just want to learn Ruby for fun or for a new job or just to experience it – this website is the best place for you to start. The website offers various Ruby learning courses like Ruby Primer, Accent, Metaprogramming and others. This website enables the learner to learn the basics of Ruby language on the browser itself. The learner just needs to have 15 minutes of time in hand in order to write Ruby coding on the web browser and learn through the interactive website. It is an open source application in Ruby for teaching users on how to create software and combines an Integrated Development Environment with lessons. It is a platform independent desktop application which can integrate with a website so that Hackers can discuss about what they have learnt and give their feedback. The users need to install the application on their machine. Python is preferred language of many web developers who like quick and scalable web application. There are many good books available to learn python from scratch. On the other hand Python also has a big community that has generated tons of free tutorials and resources for Python developers. Below mentioned websites are focused on interactive teaching inside client web browser. This is a free interactive Python learning tutorial. This Python tutorial was developed to offer interactive learning to the learners who want to learn Python. The tutorials contain both basic and advance course materials hence facilitating both beginners and experienced professionals in Python programming techniques. Pyschools is a website with many python basic tutorials and interactive exercise to practice your python skills. This website provides a cloud based environment for Python developers to develop and deploy Python application in cloud. It is an interactive online interpreter for the Python Programming language, it's interactive and AJAX driven and uses a plug-in called JQuery Terminal Emulator. Python is an object oriented programming language that can be tried out directly from the web browser. It is an interactive interpreter for the Python Programming language on the web browser. There is an interactive Python Programming online tutorial as well, which you can run on your browser. This is free interactive C learning tutorial for the people who want to learn C programming. The website offers both beginners and advance course on C programming, which help both types of learners whether they are beginner or professional. Learning through this website will not require anything to be downloaded. This is a free interactive Java learning tutorial website for all. It does not matter whether you are a professional or a novice in Java. The intent of this website is to offer learning to everyone who wants to learn Java. The tutorial contains both basic and advance level tutorials. If you decide to learn Java, you must also check out our tips for beginners to learn Java and dozens of other free resources to learn Java on web. This is an interactive tutorial on your browser itself. You can just type in your Haskell expressions in the box provided and the website throws you the result. The School of Haskell contains all practical tutorials for the learners to read and learn as ease. This is an interactive website that contains videos, interactive challenges in the form of consoles and also enables the learner to practice codes in the browser itself. You need only 3 hours to complete the entire activity. The website currently uses jQuery 2.0 for its functions. If you decide to learn jQuery, we recommend you to also refer some of the good books on jQuery. This is website that offers step-by-step tutorials with live interpreters. The learner can learn SQL Server, Oracle, MySQL, DB2, and PostgreSQL through this interactive learning website. The website contains great variety of tutorial materials and that are designed for both beginners and advanced level professionals. This website can enable you to learn Git in 15 minutes. The interactive website has the code entering window embedded in the browser itself that enables the learners and users to try their codes live in the Octobox and fetch the result out of it. These exercises give an introduction to the C++ Programming language with explanatory texts, exercises and examples of C++ programs. It is web based and you can execute the programs by clicking the “Start Exercise” button in the website itself. Clojure helps the programmers who would want to master the language Clojure through the interactive problems available on the website. It is a web based resource and you can enter the missing code in the space provided, just click on “Run” to see the output. It contains an introduction to the programming language Clojure and has been designed for the beginners to get an idea about the language. The Interpreter in the website though, has limited functionality. It has been written in Java Script and Clojure. It is a new online web based tool which generates cross browser rules for the language CSS. Whenever you make any changes in the rules in left side of the web page, there is an automatic change in the element. It is an interactive online tool for those beginners who want to know about the latest CSS styles and the HTML5 tags. You don’t have to use any prefixes. You can quickly test the code snippets of the CSS online using this tool. It is an information website for web developers and contains references and tutorials like CSS, HTML, JQuery, PHP, Java Script and SQL. The website derives its name from the World Wide Web. It has online editor tool and hence is web based. It is an online playground for the web developers. JSFiddle has an online editor for running web snippets in Java Script and HTML. It helps to detect the bugs in the snippets and supports several frameworks as well. It was written to provide a concept and a synopsis to programming in Java Script. It used to develop the best problem solving skills for creating a program to play Blackjack. All the codes are written in the web browser so you can view the results instantly. Tryfsharp is a website for learning the programming language F#. You can create your F# codes, save them with a nickname in the site itself; explore the world of F#. You can also create F# scripts in the editor window online without saving it. It is a website where you can learn the Go Programming language. You can write your code in the online code editor and run the program online. You can download the Go compiler from this site. The site also contains lessons on Go. It is an online interpreter for the Lisp Programming language where you can enter an expression in Lisp in the text area and check the expression by clicking on the “Evaluate” button. You might have to download additional plug-ins. This website provides online tutorials to learn the programming language Ocaml. You can drag and drop the programming files in a designated area and get your codes tested. It essentially helps you to increase your efficiency in writing codes.